Don't forget to register to ensure your place at ACPID 2017! 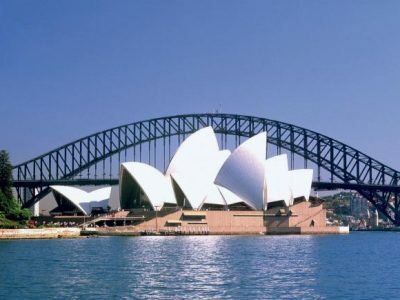 In 2017, the Australian Conference on Personality and Individual Differences will be held in the harbour city, Sydney. First held in 2001, ACPID has become an annual event for personality and individual researchers, academics, practitioners and students. This year, the conference will be held on the 1st and 2nd December at the University of Sydney. Our conference includes workshops, oral and poster presentations of Australia’s leading edge personality and individual differences research. Our about us page shows the development of the conference since 2001. Each year the conference is organised by members from universities throughout Australia. This year the conference is being organised by Carolyn MacCann and her team. Research in personality and individual differences is a worldwide endeavour as demonstrated by the organisations also shown on our about us page. If you have an interest in personality and individual differences you would be most warmly welcome to attend our next conference. Reproducibility problems afflict many sciences, including psychology. The problems are to some extent rooted in the criteria for and process of scientific publication. In response, many journals, funders and professional societies have begun incentivising change. I will describe how everyone can participate in the new initiatives in open science and open access that are improving psychological science. 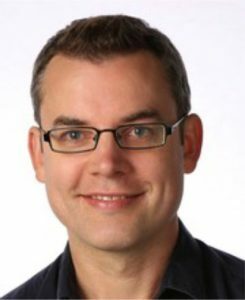 Associate Professor Alex Holcombe has been active in open science initiatives at PLoS ONE, CurateScience.org, FairOA.org, PsyArXiv.org, as well as involved in the openness article badges (https://osf.io/tvyxz/) adopted by Psychological Science and other journals to reward open practices. Two years ago, he co-founded a new article type, the Registered Replication Report, now at the new APS journal Advances in Methods and Practices in Psychological Science, which welcomes contributions to improve our science. The discrepancies between how we see ourselves and how others see us offer a fascinating, insightful, and important glimpse of who a person is and how their life will unfold. In this talk, I will present a model for distilling multi-rater personality measures into three components: traits (consensually perceived characteristics), reputations (the unique impression we leave on others), and identity (the self that only we perceive). I’ll then apply this model to examine how traits, reputations, and identities set us up for success in school, performance at work, and our ability to get along with others. Brian Connelly is an Associate Professor of Organizational Behavior and Human Resources and the Canada Research Chair in Integrative Perspectives on Personality. His research focuses on the structure and measurement of personality, particularly when studied and applied within organizational contexts. 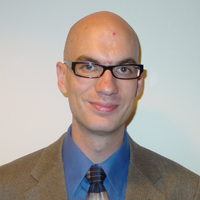 His research has been published in Psychological Review, Psychological Bulletin, the Journal of Personality and Social Psychology, and the Journal of Applied Psychology. The annual Australian Conference on Personality and Individual Differences is held in a different city each year attracting delegates from around Australia, and the World. The conference setting provides the opportunity to network, and talk with world-renowned academics about their field of study.